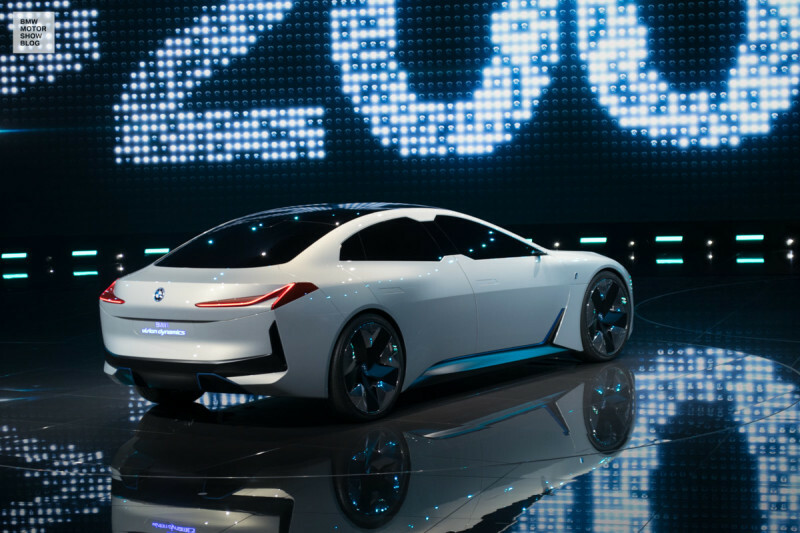 With an elegant electric mobility concept, BMW has unveiled a real surprise at the Frankfurt motor show. 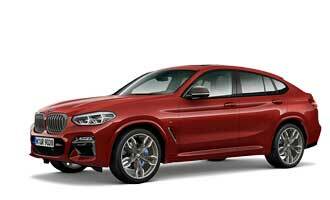 Neither detailed information nor pictures had been leaked to the public before the official presentation this morning during the BMW Group press conference. Read the details and see the first live-pictures of the BMW i Vision Dynamics. An elegant four-door Gran Coupé, aerodynamic and innovative –the IAA 2017 starts off with BMW presenting a real “i-catcher”. 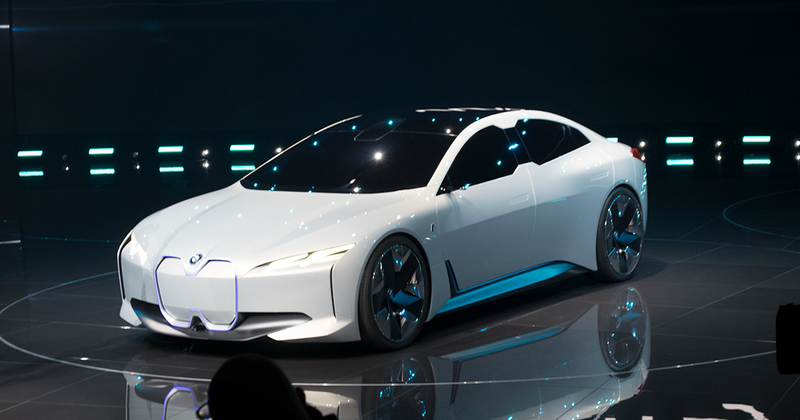 As a tangible outlook on the mobility of the future, BMW’s i Vision Dynamics is without doubt one of the most spectacular debuts of the entire exhibition. 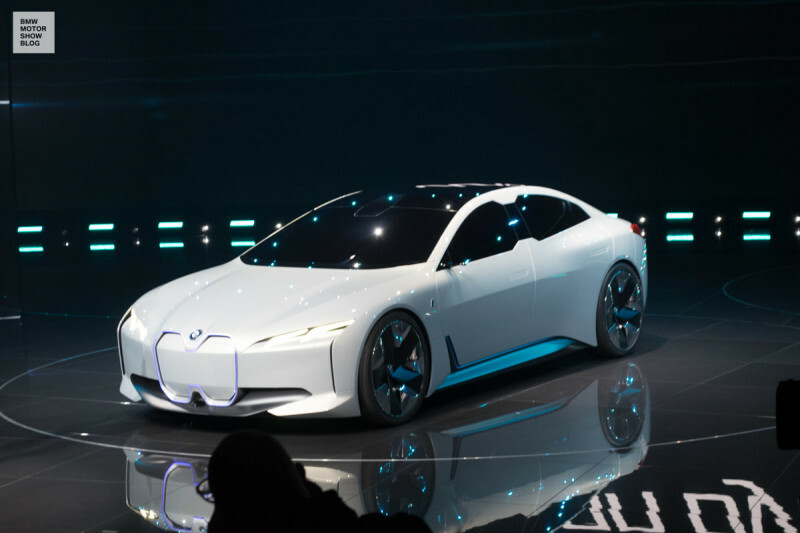 After the sensational production models i3 and i8, the new concept car combines electric mobility with the core values of BMW’s design. A long wheelbase, flowing roofline and short overhangs create a profile brimming with elegance and momentum. The aerodynamic body of the car with barely visible joints and floating lines has the appearance of having been cut from a single mould. At the minimalistic front end, iconic design tweaks like the double kidney and the typical four-eyes “face” are interpreted in a new way with two freestanding LED lights. Very slim, L-shaped backlights and the tapering of the passenger cell create a present and powerful rear end. Behind solid glass, the sun kissed interior places a clear focus on its passengers. The great glass panels allow each position to have a clear view of the vehicle’s surroundings – after all, in the age of autonomous driving passengers will have much more time to observe the outside world. 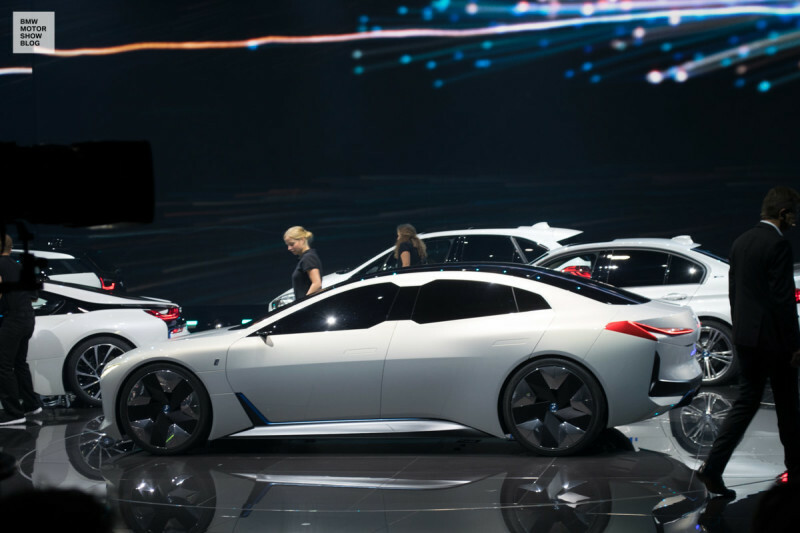 Unlike the other concept cars in BMW’s Hall 11, the specifications of this showpiece are not left to speculation: the BMW i Vision Dynamics can go up to 600 kilometers per battery charge and takes just 4.0 seconds to accelerate to 100 kmh – the exact same time of the BMW M4 Competition. 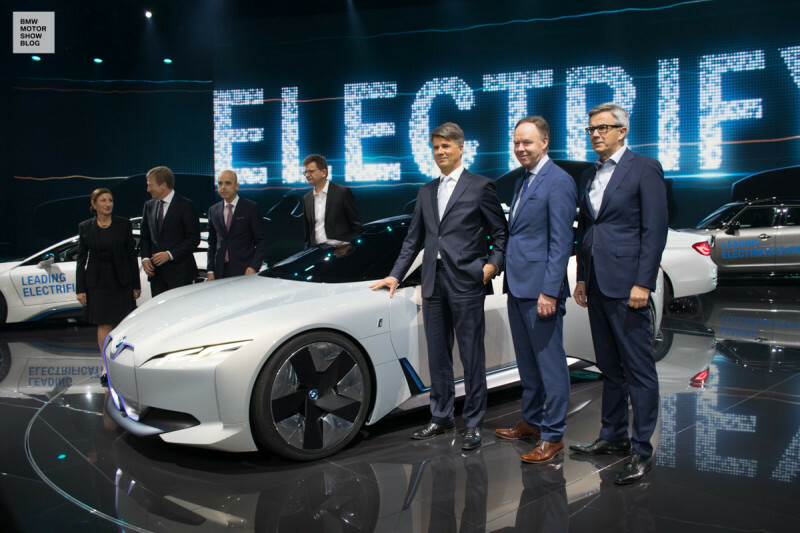 “At the BMW Group, the future of electric mobility has already arrived”, says Harald Krüger, Chairman of the Board of Management at BMW. The brand plans on offering 25 electrified vehicles by 2025, of which 12 are purely electric. 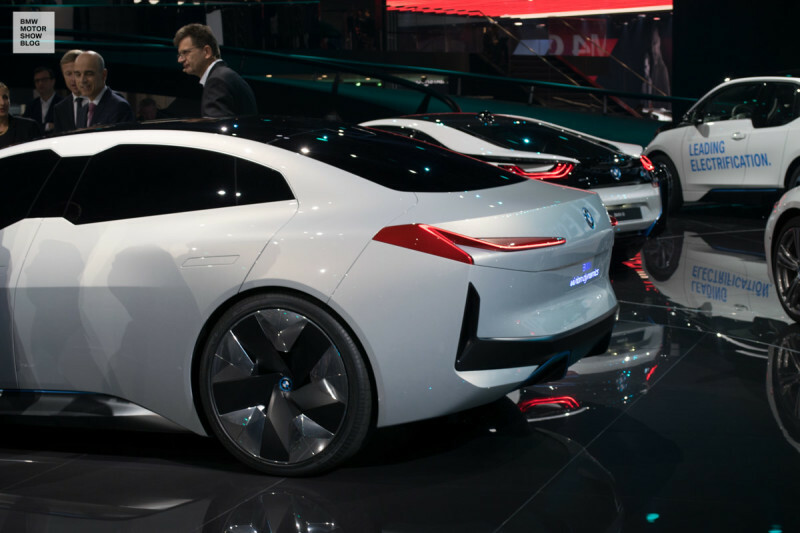 It is in this context that the Vision Dynamic concept car shows in what way the brand appearance, design language and product line of the i-models can evolve in the future. This elaborate IAA-surprise was certainly quite a success.